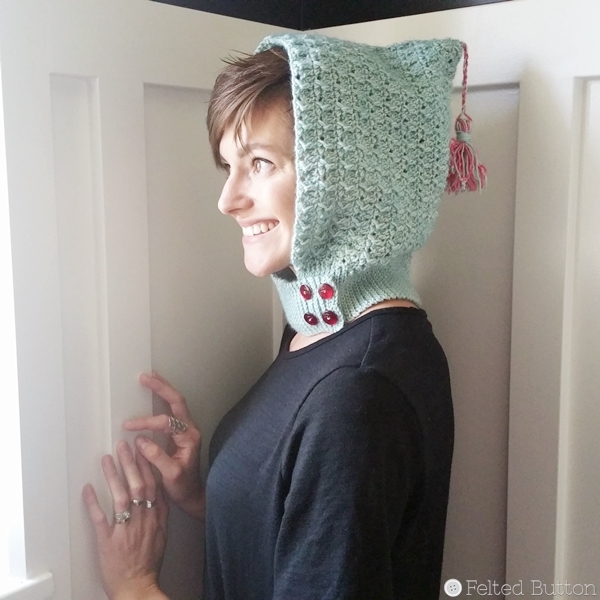 I'm super excited to share the free crochet pattern for my Petrichor Hood today! 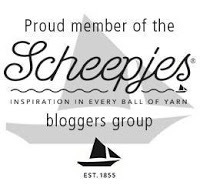 I shared my thoughts about the Scheepjes Stonewashed* yarn I have used to make it here and revealed the hood to you here, but today is the day for you to get your hooks flying! It works up in just a few hours and has a lovely result. I've also written up a tidy PDF for you, for a $2 fee, if you would prefer to have it without ads and in an easy to print version. You can find it in my Ravelry shop here, my Etsy shop here, my LoveCrochet shop here, or my Craftsy shop here. 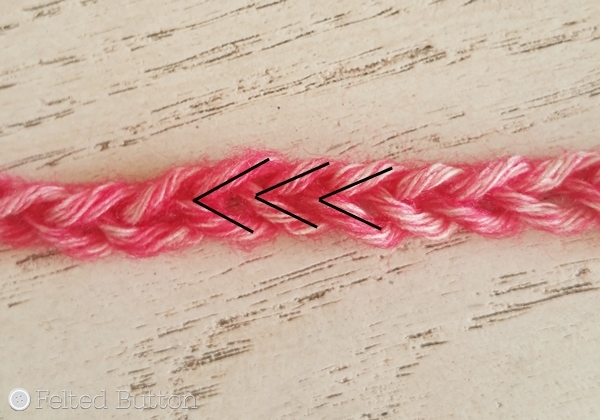 As I mentioned before, the stitch pattern is a variation of a crossed dc, done by working into the crossed dc rather than the top of the stitch. I think it makes for a really pretty texture. And the neck ribbing is simple sl st crochet in the back loop only which makes for a knit-look, stretchy fabric that is super clean. Oh, and don't forget the buttons. I used four 5/8" (16mm) buttons, which fit perfectly in the buttonholes. • The hood is made by folding a long rectangle around the back of the head and seaming it across the top of the head. The neck ribbing with buttonholes is added after. Both parts are worked in rows, turning at the end of each row. Buttons are then attached. A tassel or pom pom can be added to the crown, if desired. I like my tassel. I added an extra color (Red Jasper) of the Stonewashed to tie in with my red buttons. But you can do as you choose. I hung my tassel by twisting two contrasting strands of yarn together for a little whimsy, too. 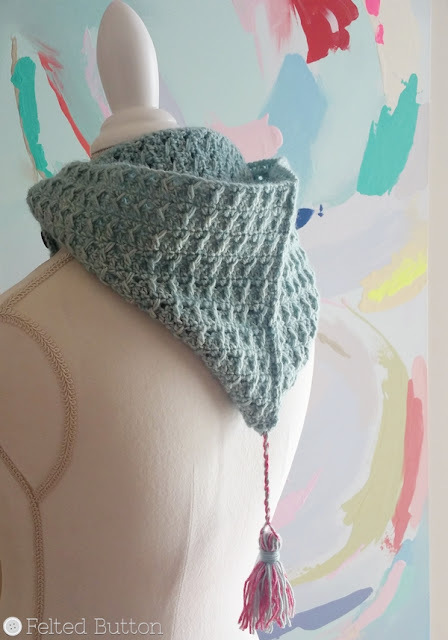 • When working the neck ribbing, it is suggested to work your slip stitches loosely and always turn your work in the same direction at the end of each row. This will make for a tidy bottom edge and stitches loose enough to allow you to easily work into them across each row. • If you desire to alter the size of your hood, the length of the foundation ch adjusts the height of the hood on your head. 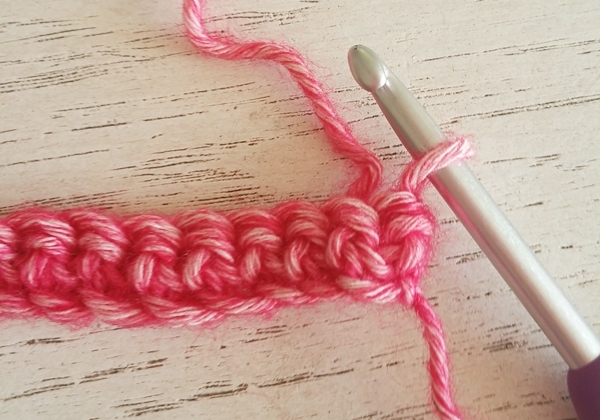 The stitch pattern repeat is 3 + 1, so adjust your foundation chain by making it any multiple of 3 to the desired head height and then chaining 1 more. Adjust the size around the head by altering the number of repeat rows worked. 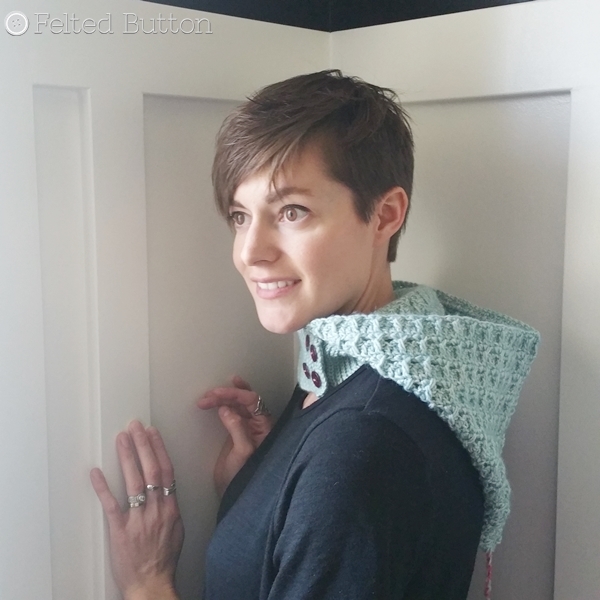 The dimensions of this hood will fit a tween to adult. It fits my 10 year old son's head well, besides fitting my daughter's (model above). My sample measures 14” (35.6cm) including ribbing to top of the head and 20" (51cm) from the front edge around the back of the head to the front edge. These are the stitch abbreviations I used. Remember they are in US terms. 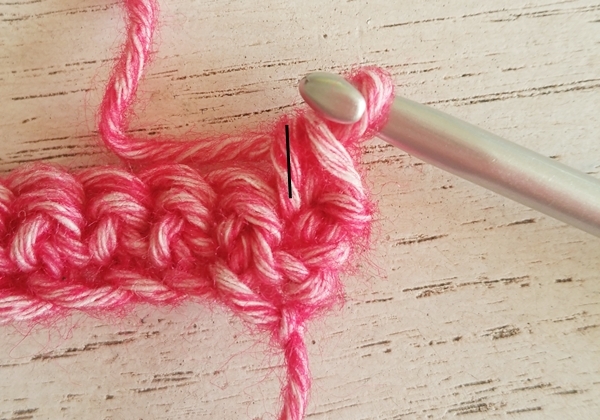 The above shows the front of the chain marked by the Vs normally worked when working into the top of a stitch. The needle is inserted through the back bump on the wrong side of the chain. Notice these bumps run the length in a line. 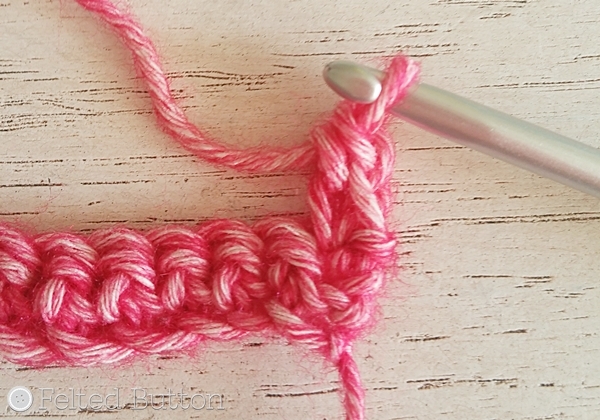 When you work into this bump, you leave both loops of the V on the right side edge. Tidier and firmer--I like that. I also included one of my favorite techniques for replacing a ch 3 turning chain. I have never liked the way they look, and although I have several techniques I use to solve the pesky gap left on with a dc turning ch (here and here), I chose what I've called the "stacked sc" this time (#3 in the linked post). 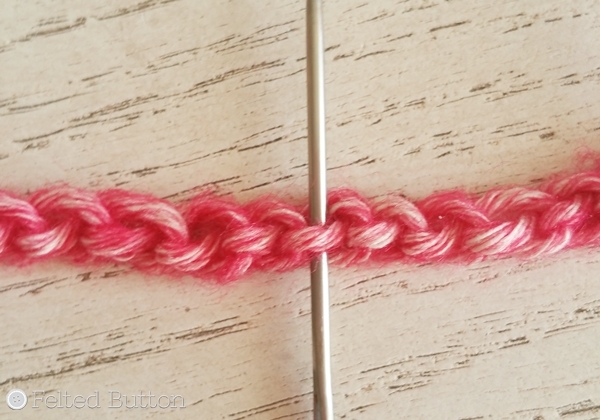 It is nearly the height of a regular dc, leaves no gap on the turn, and has a normal stitch top in which to work. I really like that. When you reach the end of the row, turn your work. But don't work a ch 1 to raise your hook. Just like this. It's a titch thicker than a regular dc, and tips a teensy bit, but once worked into on the next row, looks soooo much better than a ch 3 acting as a dc. So remember, a stacked sc in the pattern will count as a dc. Rep Rows 2-3 until piece measures 20” (51cm) high ending on Row 2 rep; do NOT fasten off, continue with seaming. Seaming: Fold with WS together lining up top and bottom edges. Sl st loosely and evenly through both layers to the fold. Fasten off. Rep Rows 2-3 until you reach the opposite edge of the hood ending with a Row 2 rep. Note: I worked approximately 23 rows before working the buttonhole row. 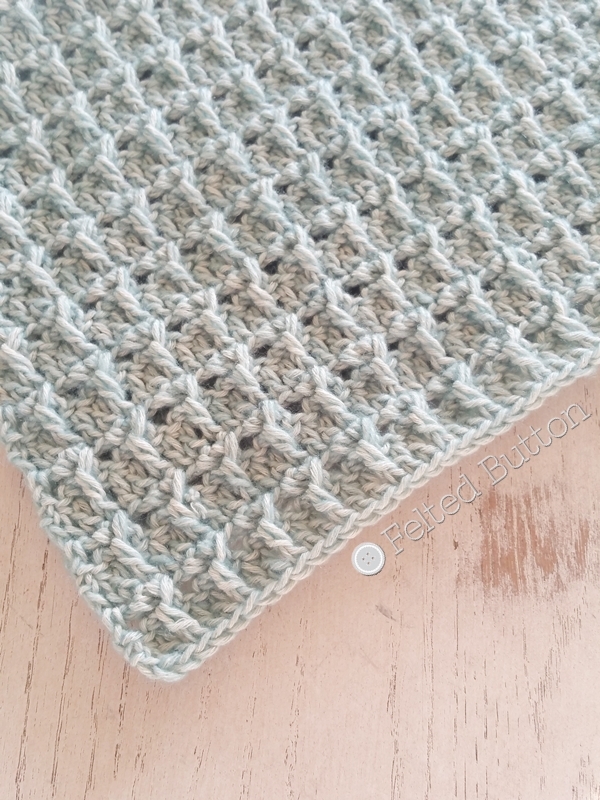 Fasten off, weave in ends and block, as desired. 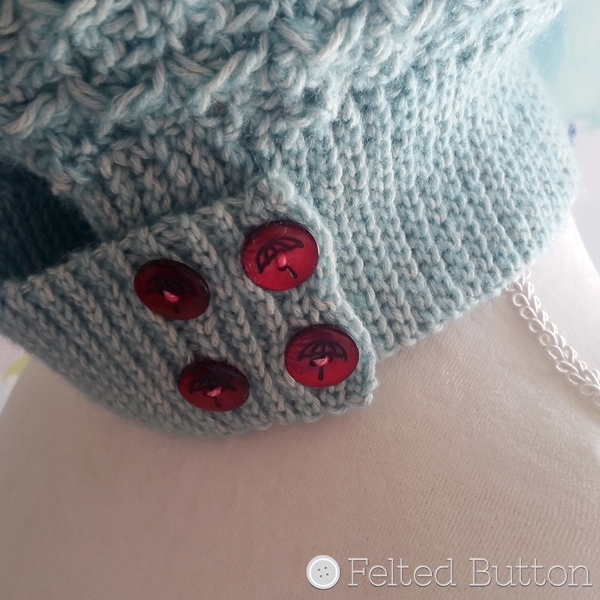 Sew the buttons to the neck ribbing so they align with the buttonholes. 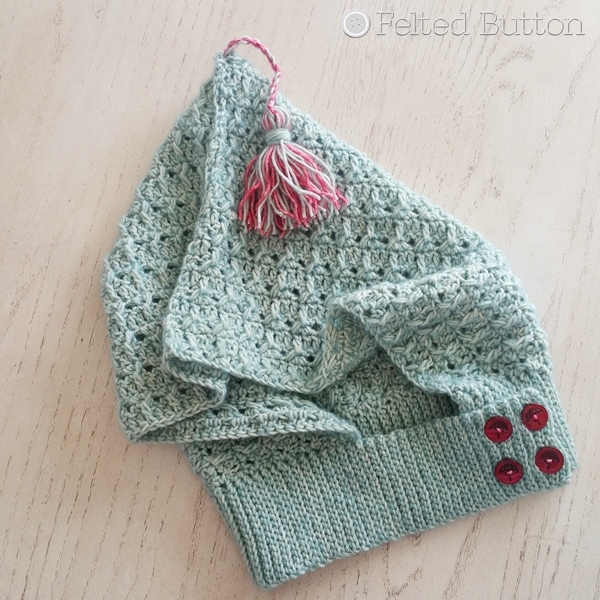 Here's where you can add a tassel or pom pom, if you wish, as well. Ta-Dah! I hope you enjoy the pattern. It has not been through testing, so please let me know if you find any errors. And if you make one, I would love to see it in all its glory so feel free to share as a Ravelry project or on my Facebook page here. | On the Board | -- I walk around like everything is fine, but deep down inside my shoe, my sock is sliding off. 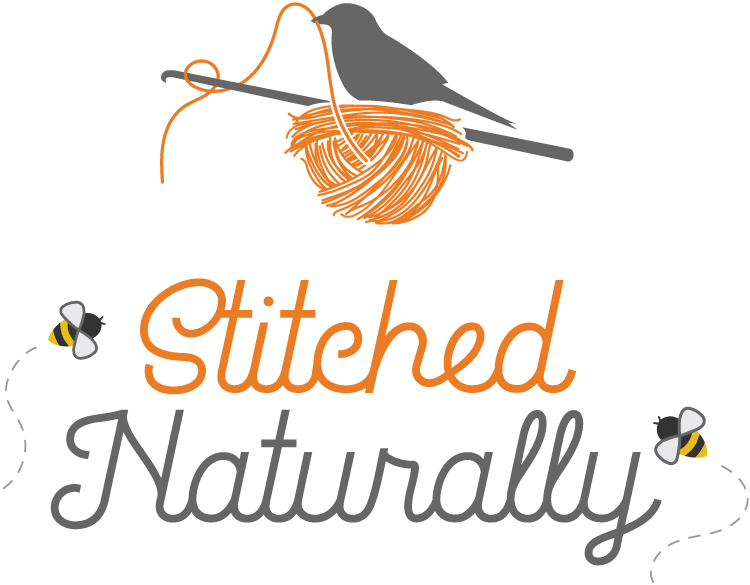 *This post contains affiliate links if which used cost you no more but afford me a small fee which helps me to provide more free patterns.